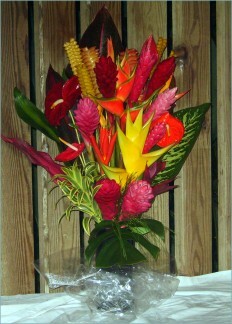 Home - Maui's Best Flowers - Hana, Maui - Order beautiful bouquets! Maui’s Best is the Best! 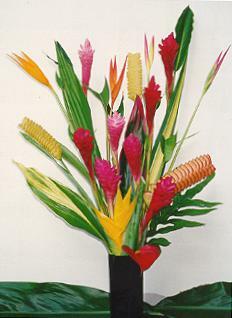 We usually ship flowers on Monday, Tuesday and Wednesday. 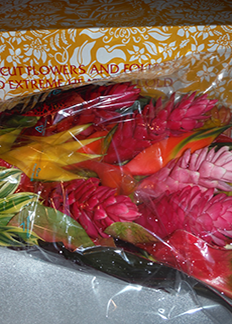 When ordering, please specify the date you want the flowers to ARRIVE at their destination. There is an extra $10 charge for Saturday delivery, and FedEx charges for delivery to some locations might be higher. We will email or phone you before shipping if additional charges apply. When specifying delivery date, please allow FOR TWO DAYS SHIPPING NATIONWIDE. With proper care our flower arrangements can last more than two weeks! Sorry, we do not ship orders outside of the United States. Friday shipping for arrival on a following Monday can also be arranged. Please contact us if you have special shipping requirements.